Here's one of my fav Eating Holiday's Top Trainer Tips: Add 1/2 tsp. of pumpkin pie spice in your coffee for a zero calorie yummy fall/winter beverage instead of gulping down a 12 oz. 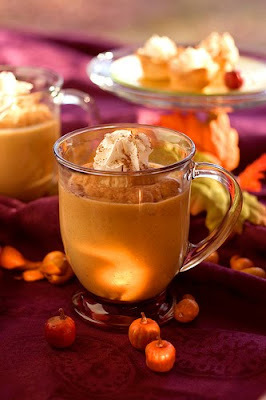 serving of 240 calorie pumpkin cappuccino that also has 8 gms fat!